Spain won the first match of the series against Indian Women’s Hockey team 3-2 after trailing the visitors 0-1 in the initial stages of the encounter. The Indian women’s team is in Spain to play a four match series against the hosts, which the latter lead 1-0 after their first match victory. 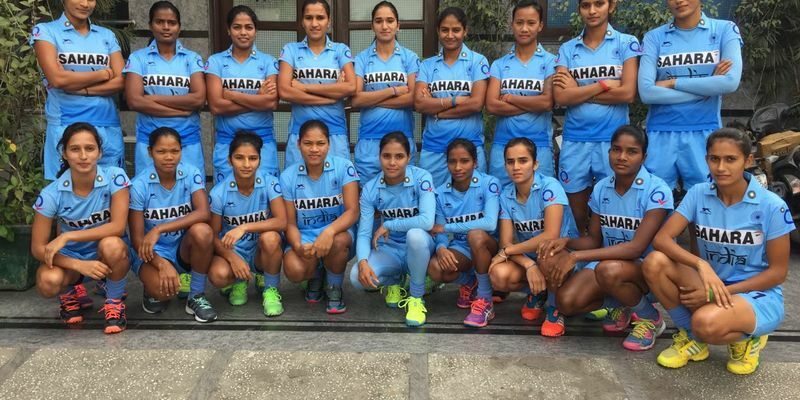 Though the Indian women’s hockey team tried to fight back in the first match of the four-match series against Spain, they had to concede the match 2-3 against the hosts. The hosts proved to be the better team in the second and third quarters of the match which tilted the balance in hosts’ favour. India managed to draw the first blood in the match as Vandana created a splendid opportunity for compatriot Udita to score in the 12th minute. Udita did not make any mistake and put the ball into the goal post defeating Spain goalkeeper Maria Ruiz. After taking a goal in the first quarter, the hosts returned a different team in the second and scored in the 23rd minute courtesy Maria Tost. The hosts did not want to play the wait and watch game and scored two more goals in the 39th and 40th minute through Lola Reira and Begona Garcia respectively to take a 3-1 lead. Pushed back by three consecutive goals, India tried to make a comeback into the match in the final quarter which earned the visitors a penalty corner in the 48th minute. Drag-flicker Gurjit Kaur did not make any mistake and converted the chance to make it a one goal deficit for the visitors. Though the visitors pushed for the elusive equalizer after the 48th minute goal, it was not to be and India lost the hard fought encounter. The second match of the series is scheduled for latter today.